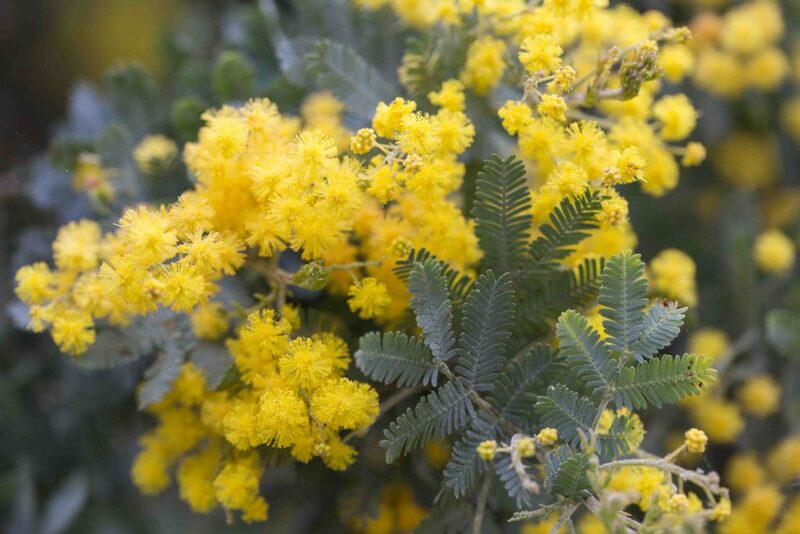 Acacias are all Australian natives. 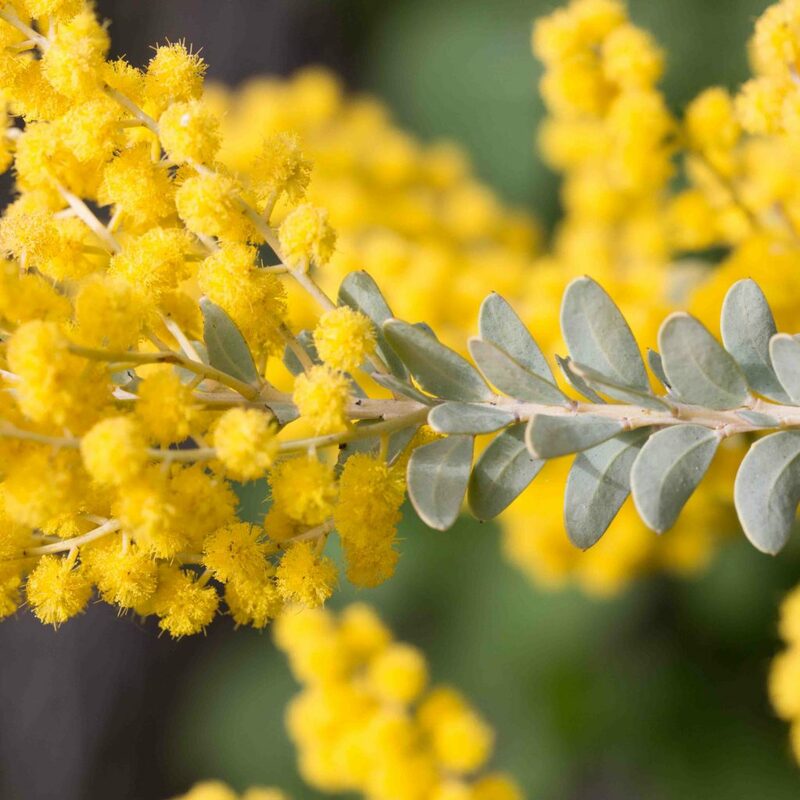 They are widely planted, sometimes invasive and simultaneously enjoyed for their brilliant yellow flowers in springtime and cursed by those who are allergic to the pollen they produce. 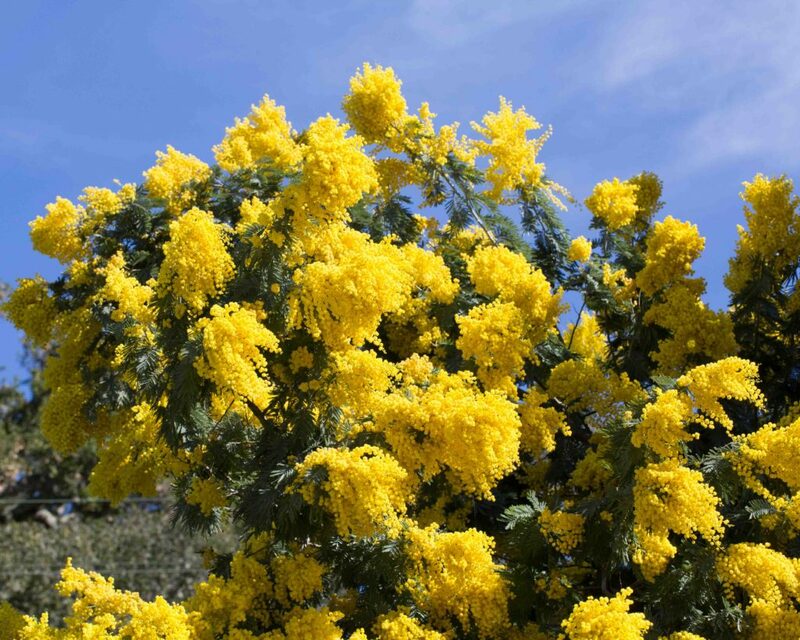 In terms of identification, it is helpful that flowers tend to be either spherical or cylindrical and leaves are sometimes compound but mostly simple and simple leaves vary in shape and the number of veins. 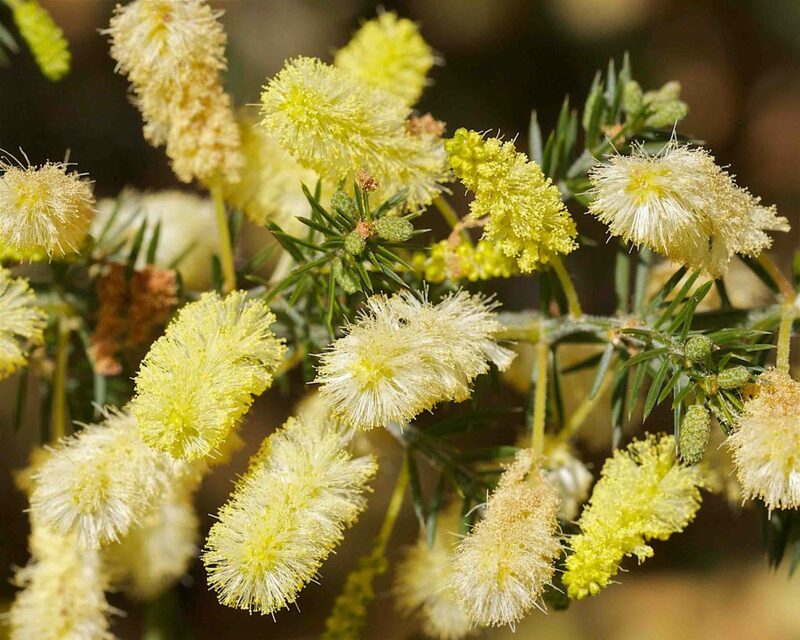 Strictly speaking, Acacia leaves do not have separate blades, what appear to be blades are in fact expanded and flattened petioles; this explains why they can have longitudinal veins, a characteristic that is normally confined to monocots such as lilies, irises and orchids. 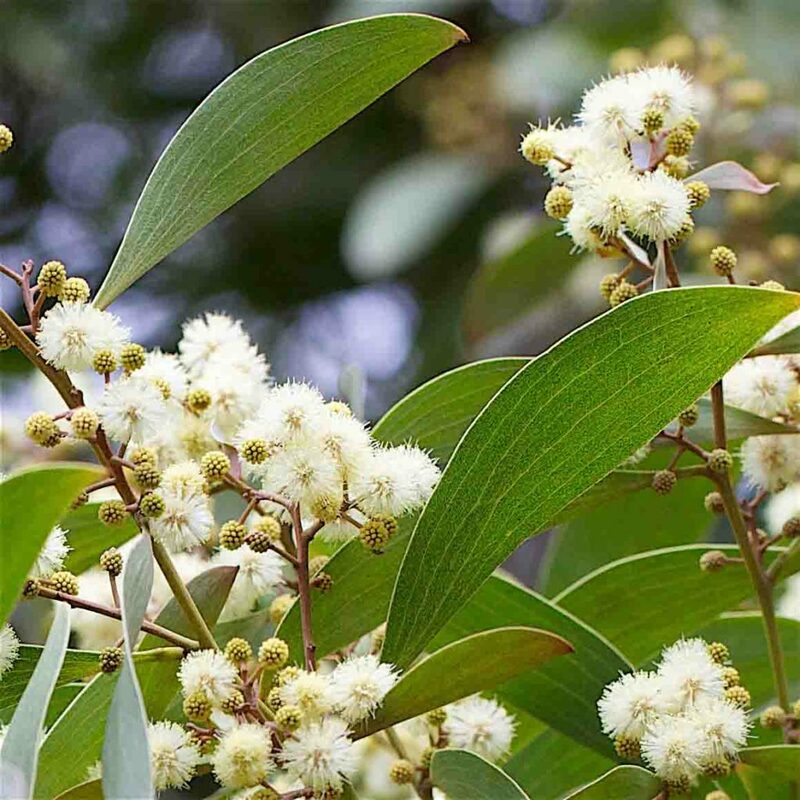 For simplicity, the descriptions of the plants below will ignore this technical nicety. 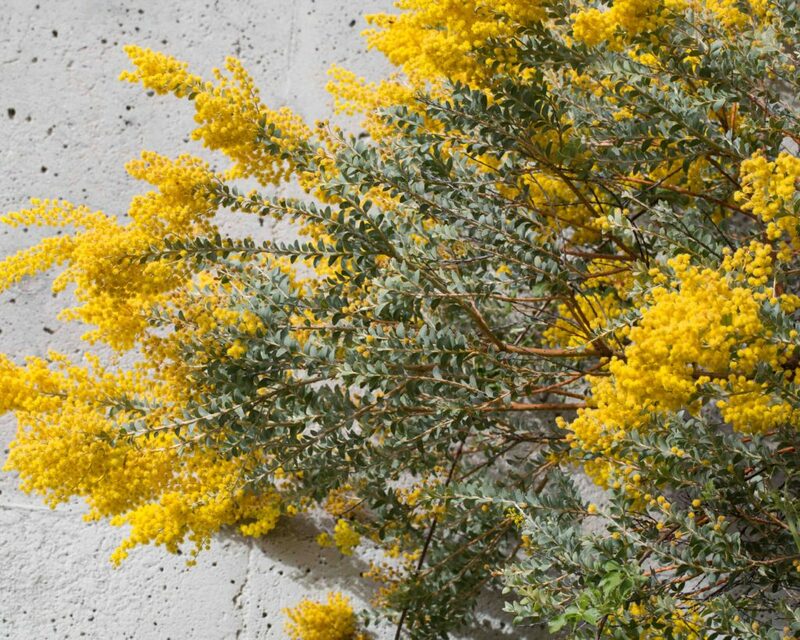 This tree produces dramatic flower displays. 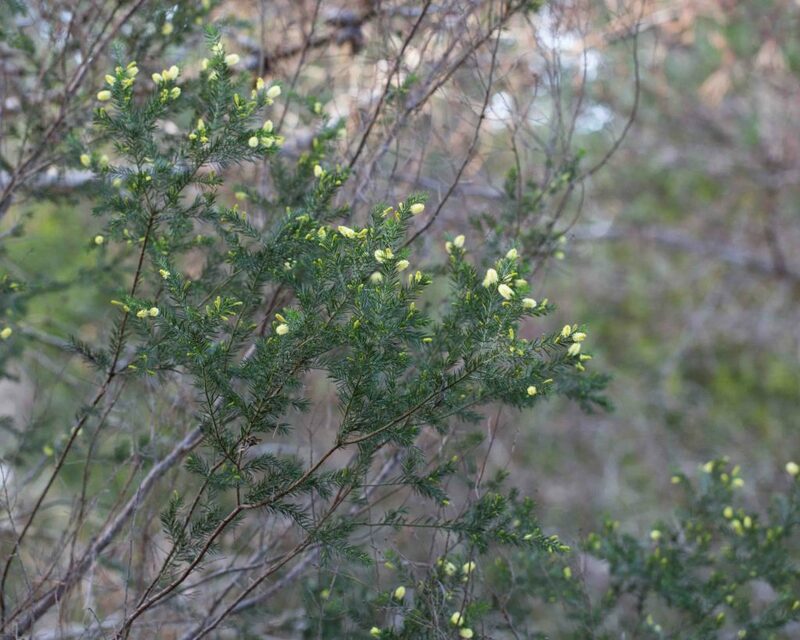 The flowerheads are spherical and bright yellow. 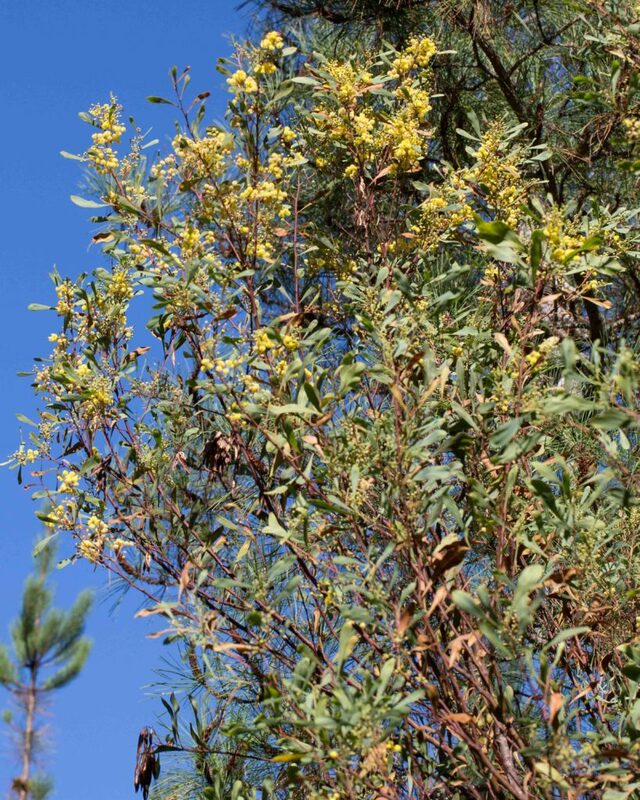 Leaves are silver-blue and bipinnate. 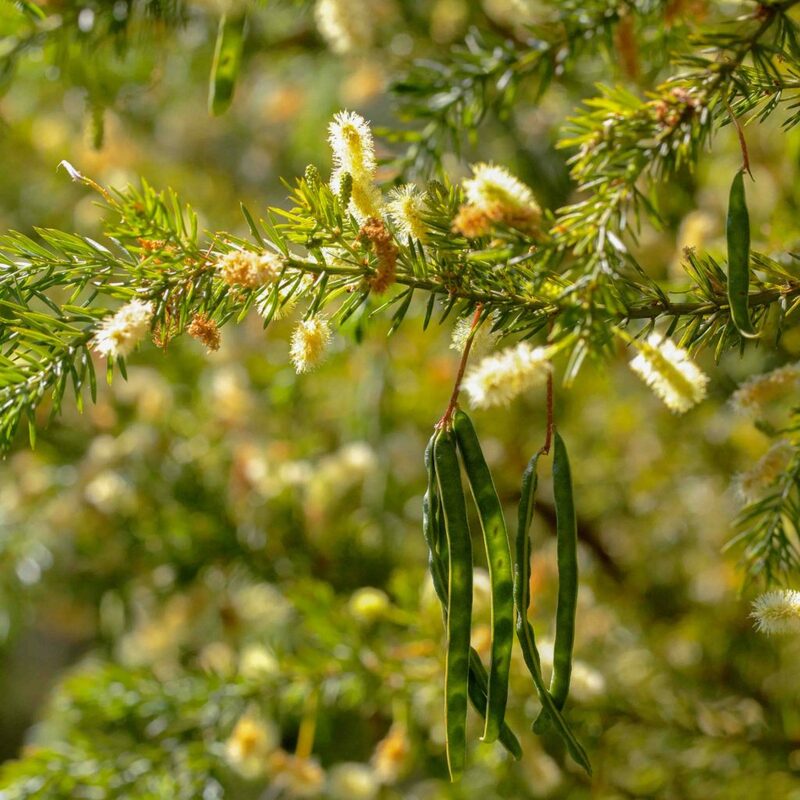 There are 2–5 pairs of leaflets, each of which is < 3 cm long and is further subdivided into 8–24 linear sub-leaflets each < 7.5 mm long. 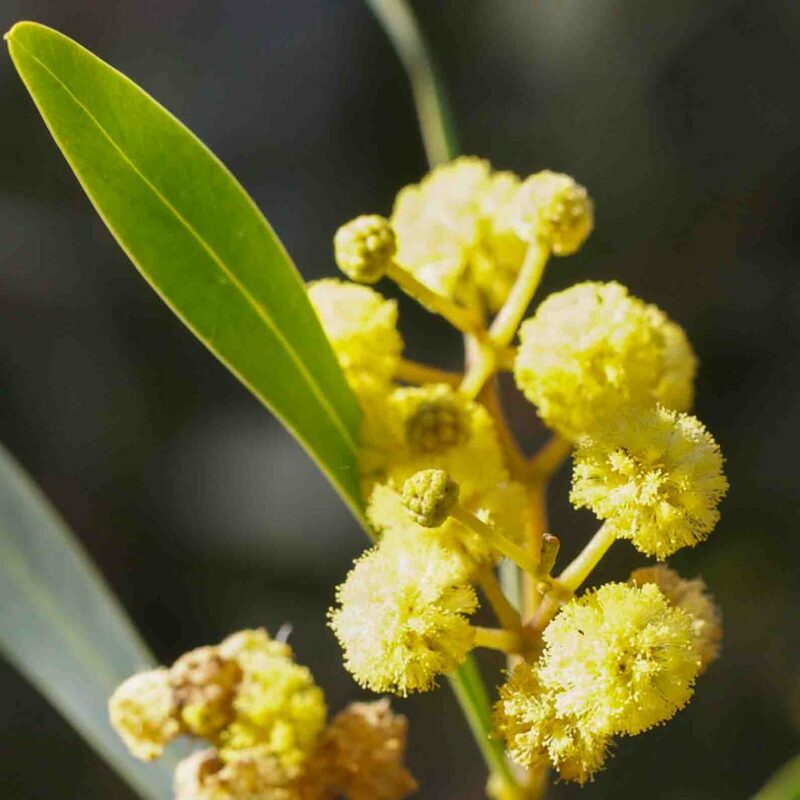 Its much smaller leaves allow this tree to be distinguished with ease from Silver Wattle (Acacia dealbata), the only other Acacia commonly found in the county with pinnate leaves. 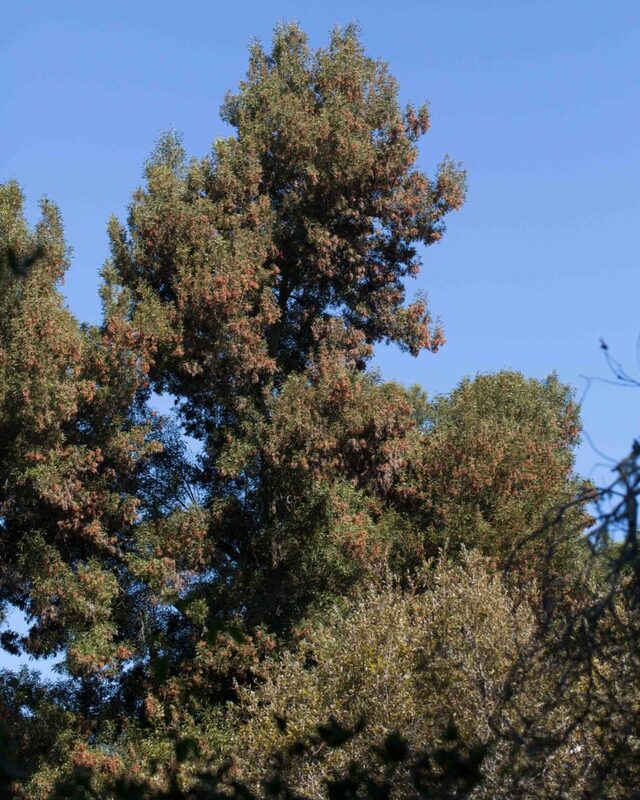 This large shrub is very uncommon in Monterey county. 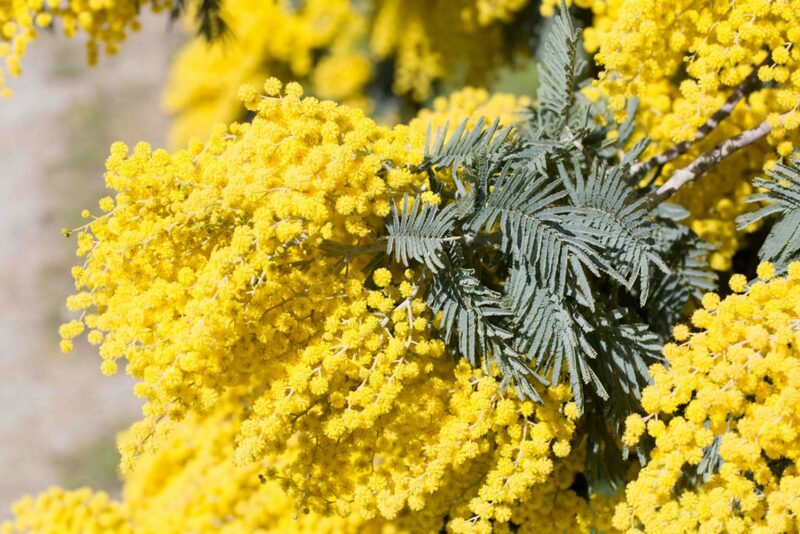 The flowerheads are spherical and bright yellow. 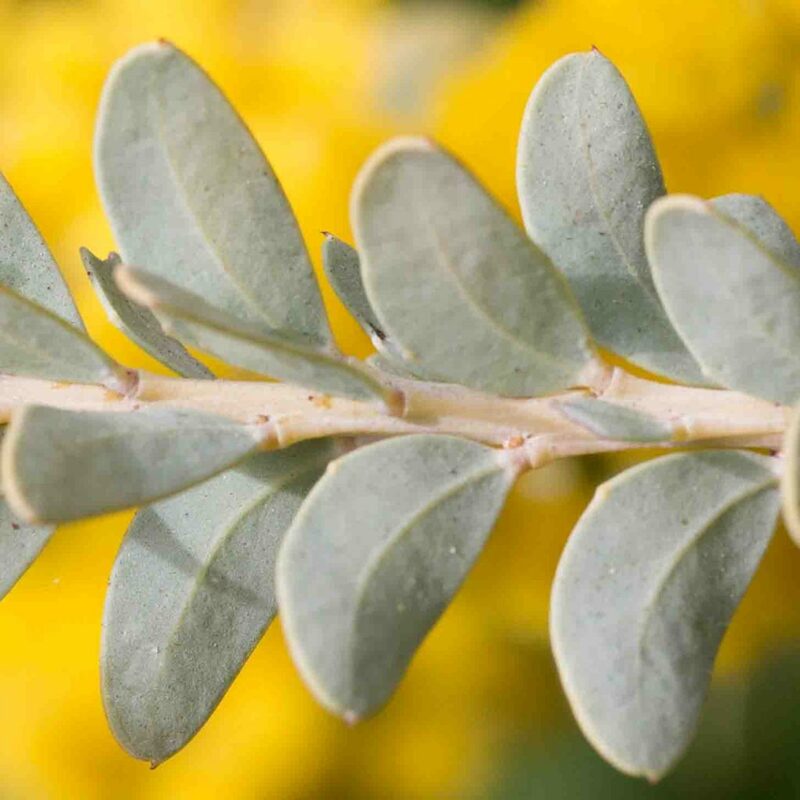 The leaves are distinctive, green to gray-green and asymmetrical with the lower leaf margin more or less straight and the upper margin rounded but with an angle so that the leaf appears almost triangular in shape. 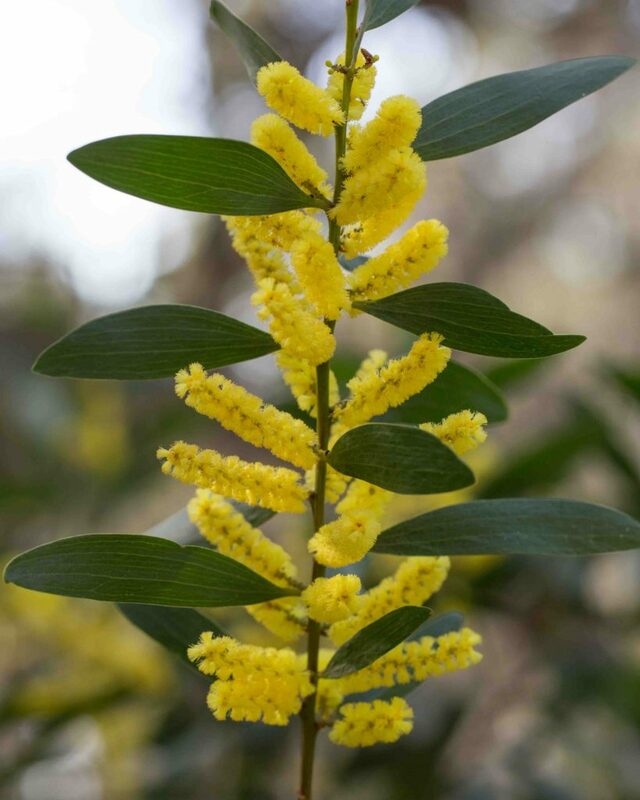 Generally an escape from cultivation and classified as moderately invasive. 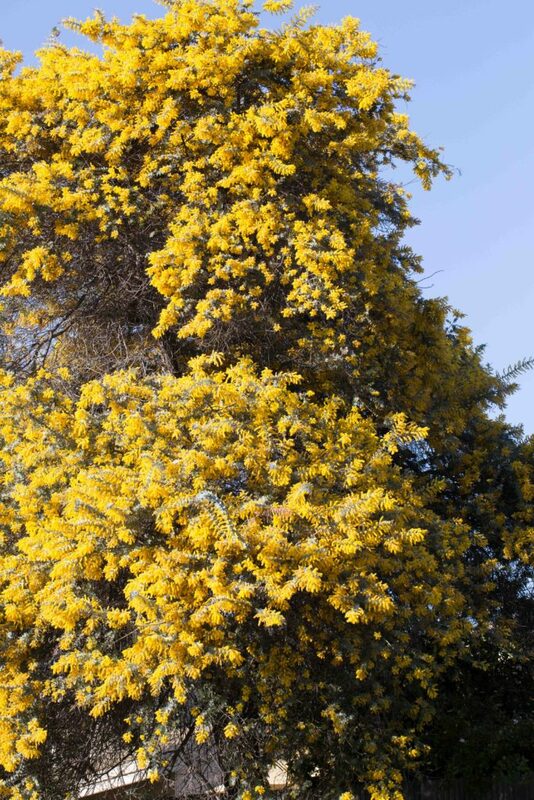 This can be a large tree which produces a mass of bright yellow flowers in spherical heads in springtime. 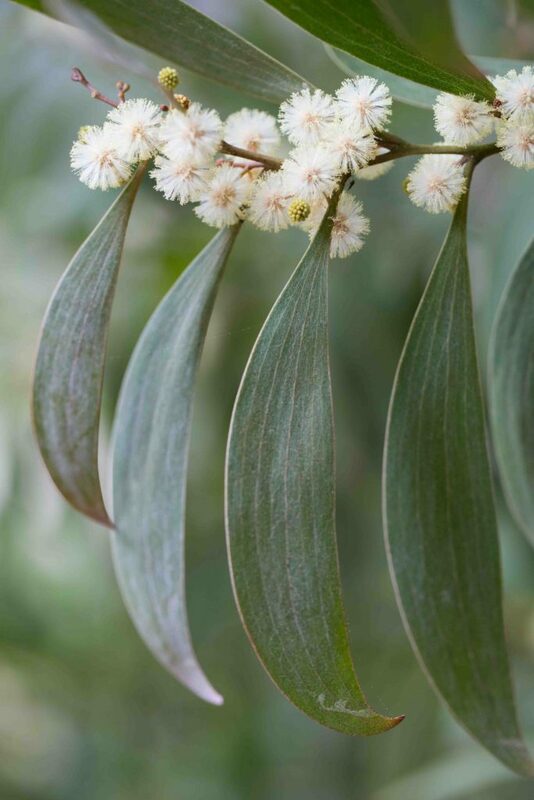 It is most easily recognized by its large, bipinnate, silver-blue leaves which have 6–30 pairs of leaflets, each of which is 15–55 mm long and is further subdivided into 15–70 linear sub-leaflets each < 5 mm long. 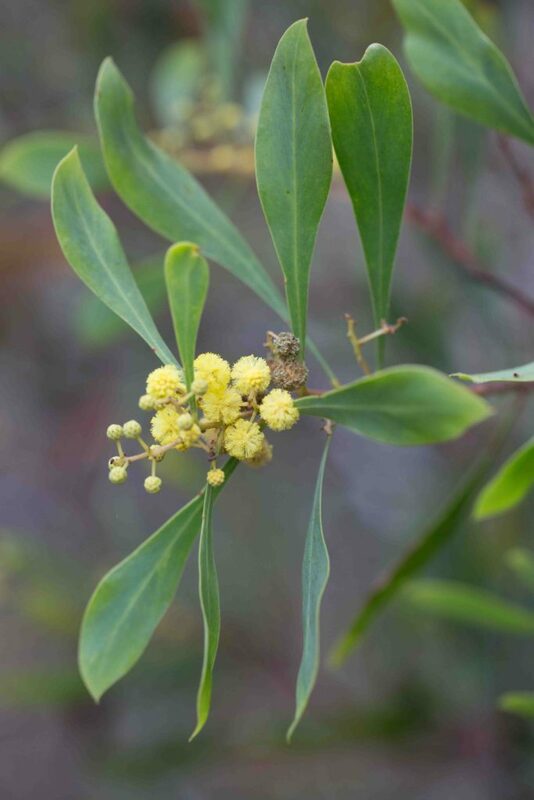 The much larger leaves and greater number of leaflets and sub-leaflets allow this tree to be distinguished with ease from Bailey Acacia (Acacia baileyana) the only other common Acacia found in the county with pinnate leaves. 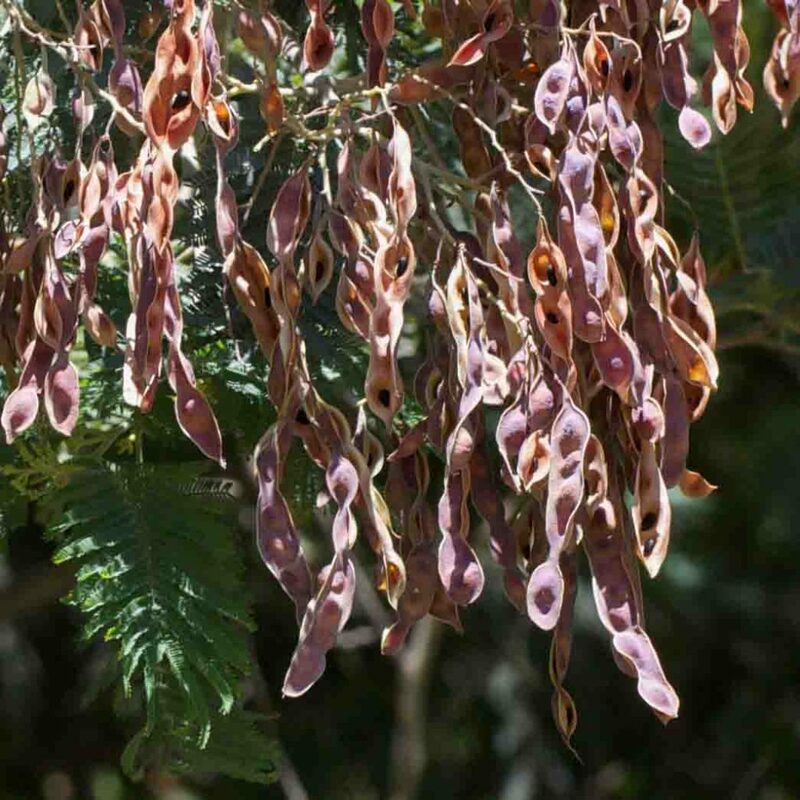 Like most acacia, its fruits are long, pendulous pea-like pods, 2–11 cm long. 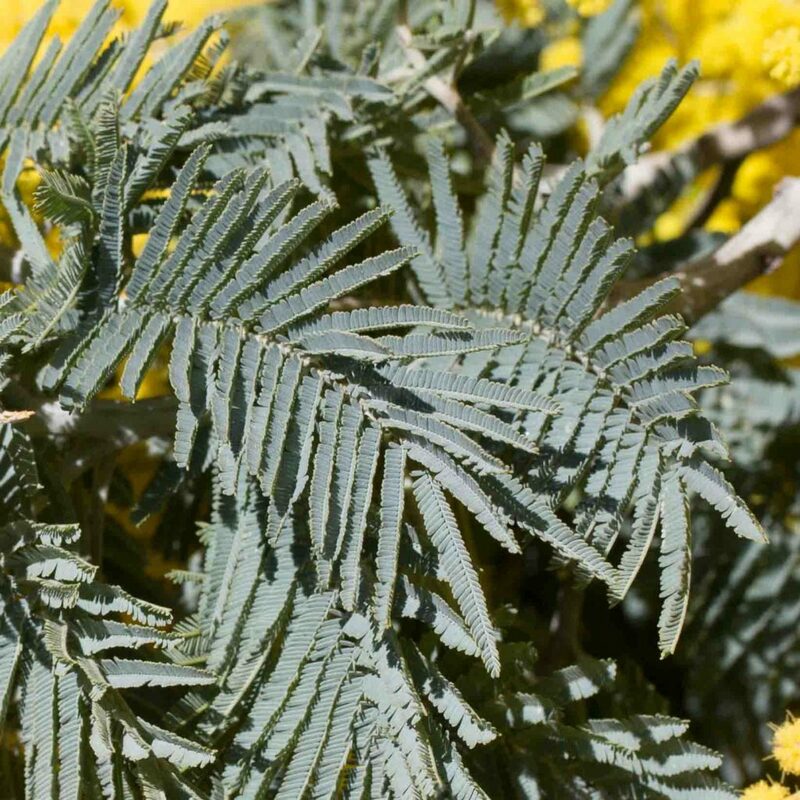 This acacia has simple leaves with 2–4 veins. 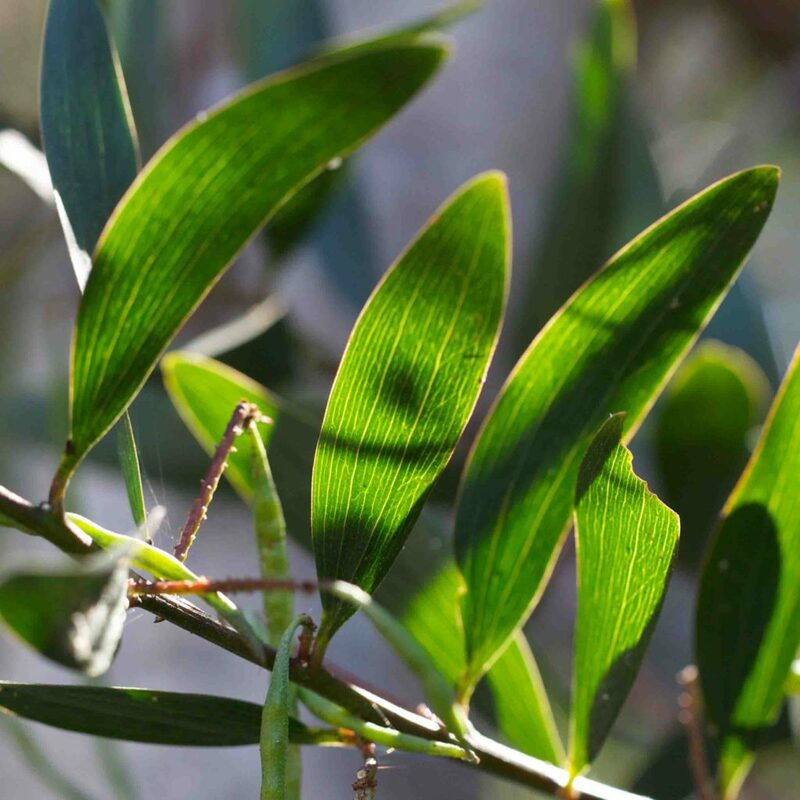 Leaves are 5–15 cm long, 10–25 mm wide, narrowly elliptic to lance-linear in shape. 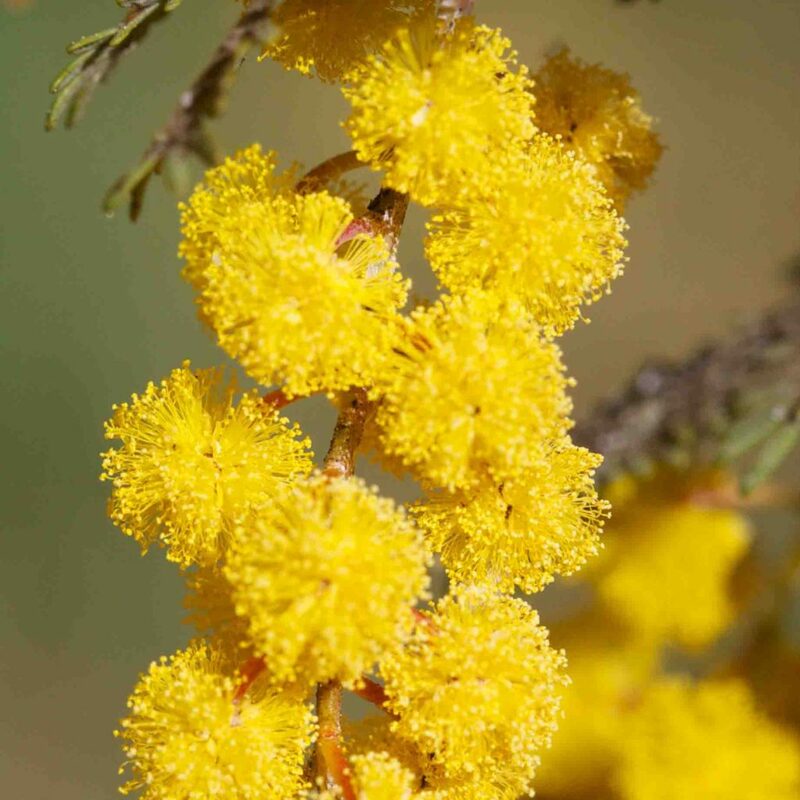 Flowers are bright yellow, in spike-like heads, 2–5 cm long. Fruits are 5–15 cm long. 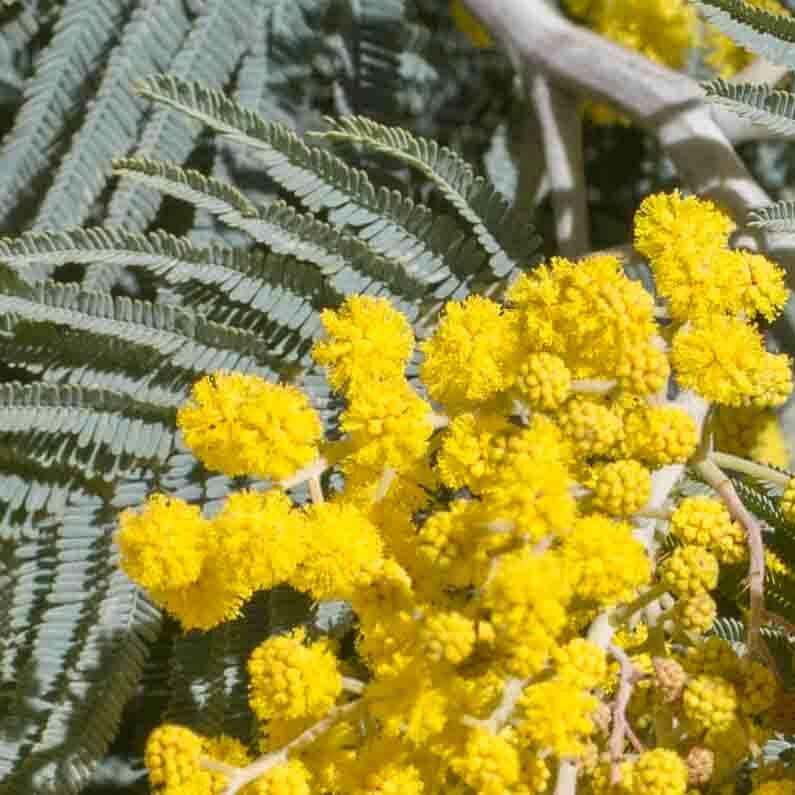 This acacia is a tallish tree and distinguished by its pale yellow to cream-colored flowers in racemes of 2–8 spherical heads. 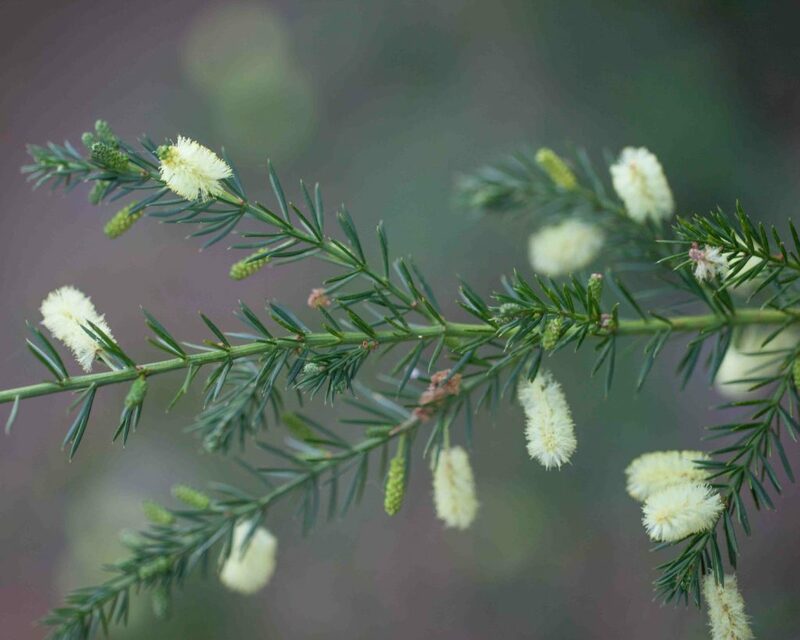 It has simple leaves with 3–5 veins. 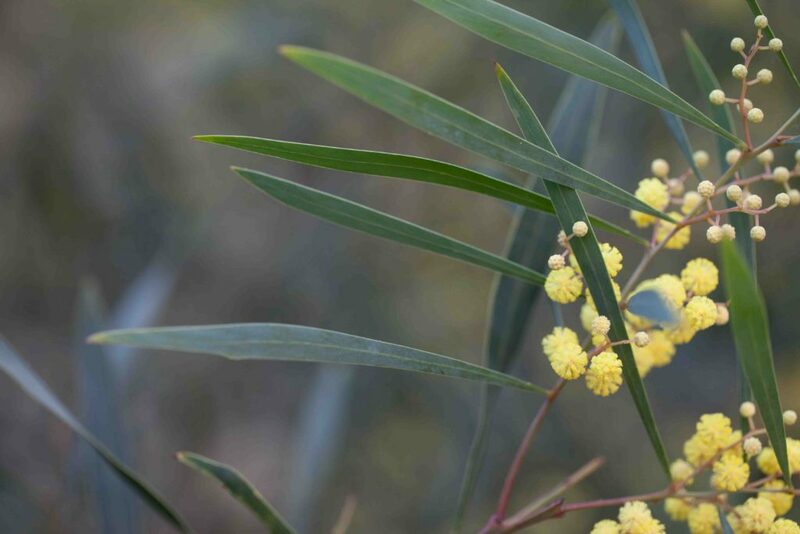 Immature leaves, confusingly, are bipinnate. 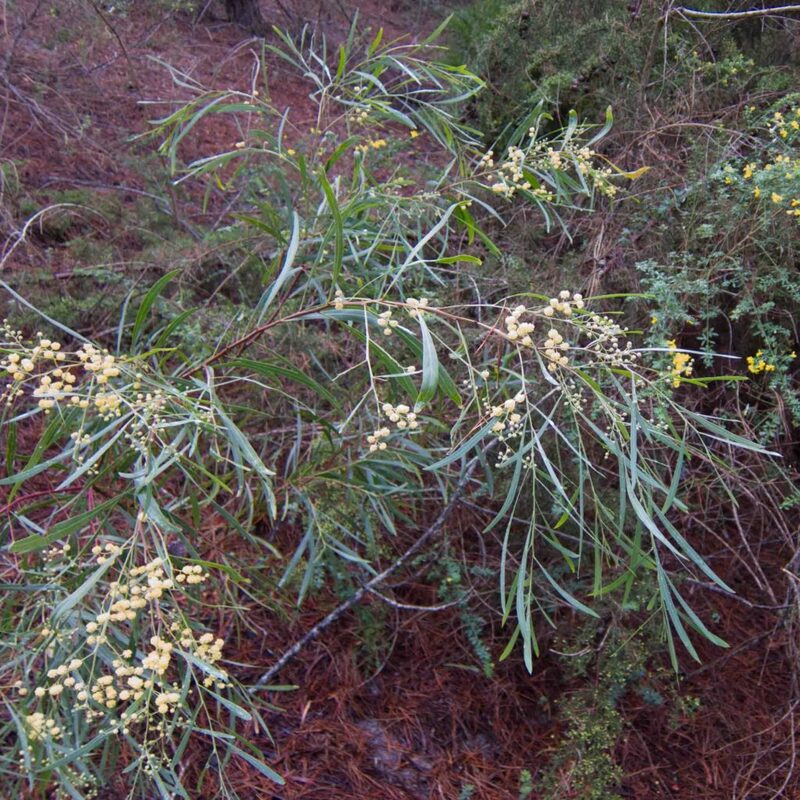 It spreads aggressively and is classified as invasive. 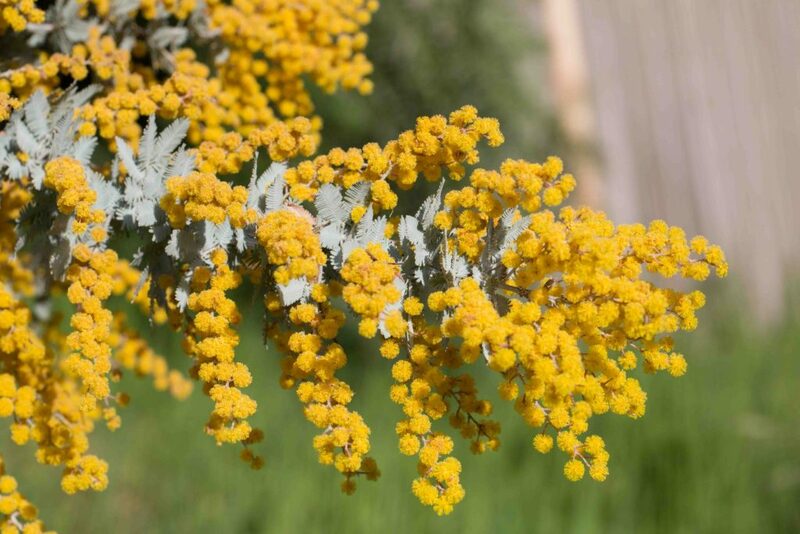 The fruits are unusual with a yellow to red aril encircling the seed in an irregular double fold. For anyone who delights in lychee fruit, the aril is the part of the fruit that is eaten with such pleasure. 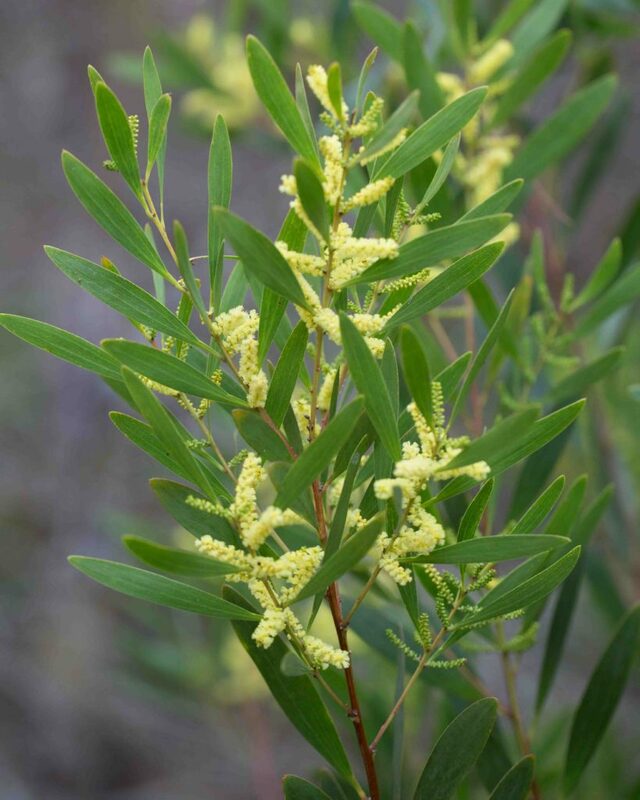 This small acacia has leaves that are similar to Sydney Golden Wattle (Acacia longifolia) except generally longer (3–20 cm) and more slender (3–14 mm wide) and with only a single vein. 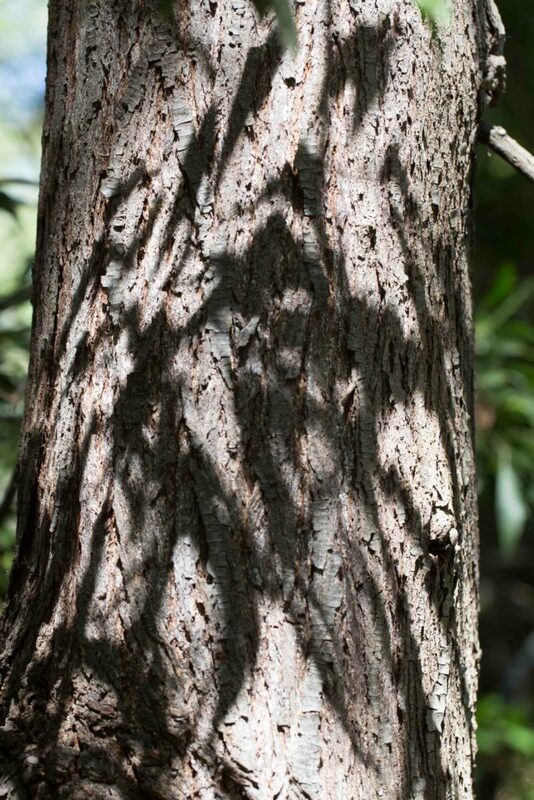 Occasionally the leaves are a little broader and almost spoon-shaped, but still with the distinctive single vein. 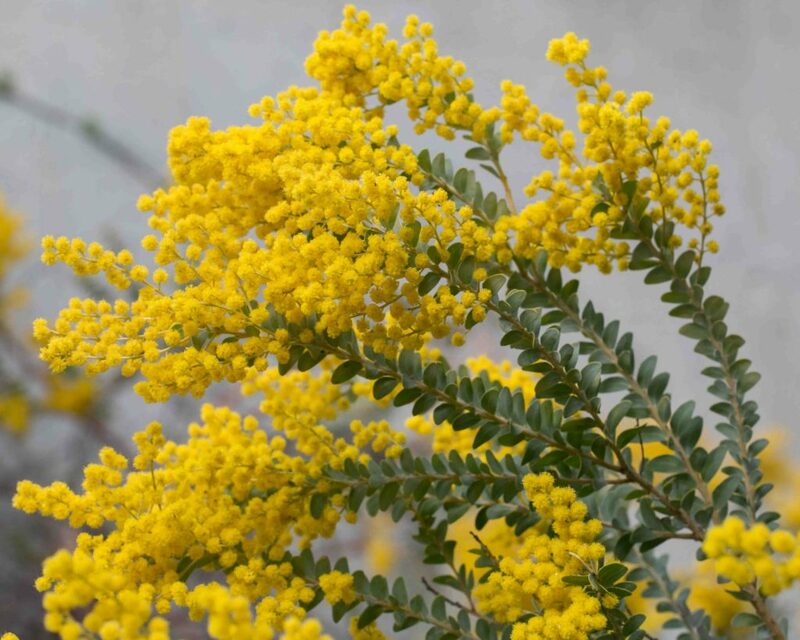 Helpfully, the yellow to cream flowers are also different, in racemes of 5–9 spherical heads rather than spikes. 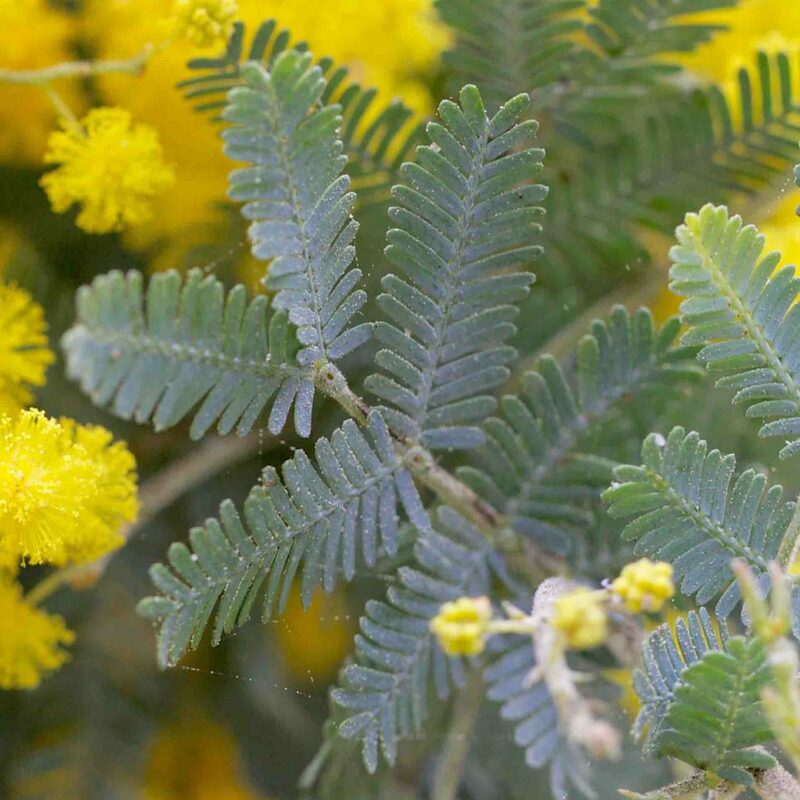 This small acacia is easily distinguished by its needle-like leaves, 1–2 cm long and generally whorled. 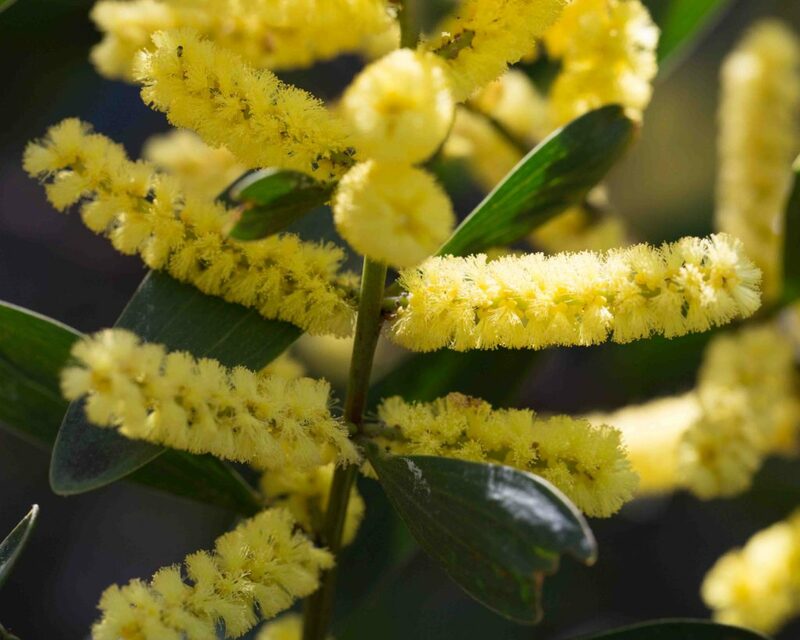 Flowers are pale yellow, in small racemes of 1–3 elongated heads. 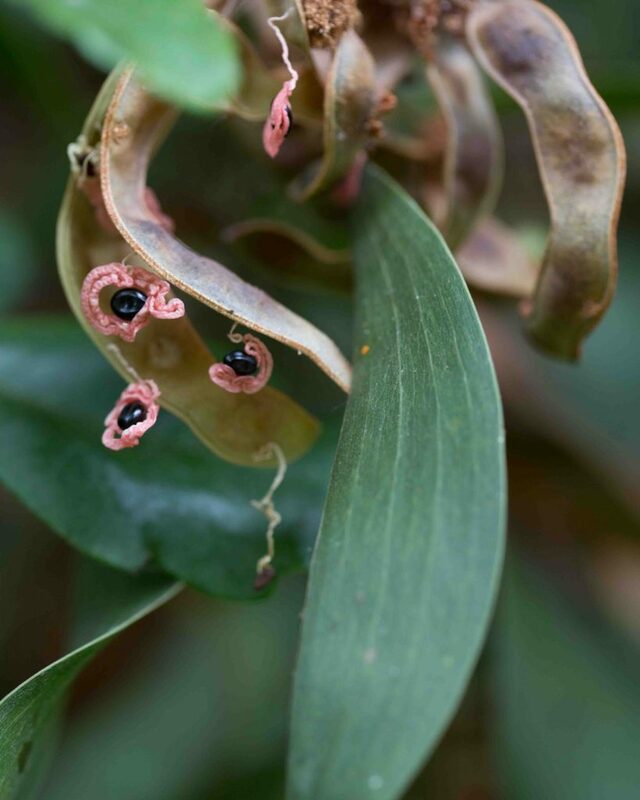 Fruits are pods 2–9 cm long.